In Daily Accord presents a selection of short poems written on a daily basis over a twenty month period. Loosely based on Haiku and Senryu forms they are instanter reductions of Golden's quotidian reality. A variety of voices, and echoes from the greater world, move with the narrator through the months. The tension lies not in the drama of what is unfolded but in the obliquely configured lines of a charted life and the quizzical insights that are brought forth. 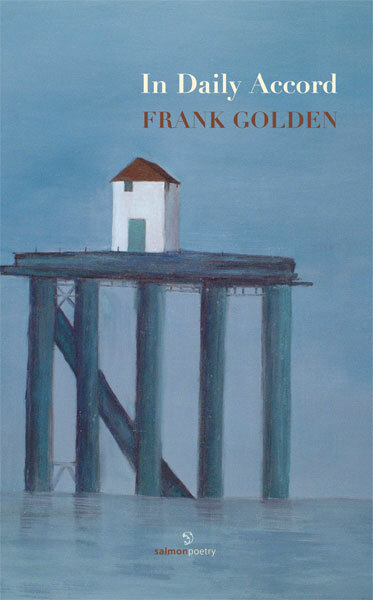 Frank Golden was born in Dublin and has been living in the Burren, County Clare, for almost twenty years. His first poetry collection The Interior Act, was published by Salmon in 1999. His other books include In Partial Settlement, On Route To Leameneh, and his novel The Two Women Of Aganatz. In recent years he has worked on TV and film projects and has had a number of solo exhibitions of his paintings.